Long before I became an Anteater myself, I heard many interesting anecdotes about UCI. People told me that it was “the University of Chinese Immigrants.” I received this colloquialism with unease and irritation, especially as an Asian-American myself. When I arrived on campus, visitors would ask me what it’s like going to a school that is “so Asian.” These assumptions presume that there is a uniformity of student’s identities and experiences. It seemed like being Asian meant being Chinese and studying biology -- other types of Asians weren’t talked about, so it felt like they didn’t exist. This interpretation of UCI’s demographic of 40% Asians and Pacific Islanders implies that there is dominant way of existing, both culturally and ethnically. This is hardly the case. The beauty of being Asian-American is that there is an entire world of family narratives and traditions we carry with us. From what I have personally learned, the world of Asian-Americanness thrives at UCI. Not only is there diversity within the generic term “Asian American,” there are so many ways to experience identity on a day-to-day basis. Vian Nguyen, student assistant, Orange County Southeast Asian Archive. Take the Orange County Southeast Asian Archive for example. It’s existence alone compels me to feel a sense of academic curiosity. It’s an unfamiliar terrain of narratives never before in the spotlight. This is a community-centered archive solely dedicated to Southeast Asian voices; it receives rare books, manuscripts, and photographs that contribute to the Southeast Asian experience. OCSEAA’s curator, Thuy Vo Dang, describes the archive’s dedication to its community, saying that they work “hand-in-hand with students and communities that have been underrepresented.” These community donations have resulted in a wide array of Laotian, Thai, Vietnamese materials. OCSEAA is an small space on the first floor of Gateway Study Center. When I visited the archives, I was struck by how welcoming the space was. Vian Nguyen, the archive’s student assistant, greeted me warmly. Nguyen is a second year English major who is Vietnamese herself. She helped me check out books of Vietnamese poetry, showing me her favorite — Songs of the Cicadas. As a literary academic herself, having access to the archive impacted the way she saw her own identity. Kababayan at UCI’s 39th annual Filipinx-American Culture Night (May 2018). Beyond archives, I had the chance to explore the Asian-American identity itself in clubs and organizations. While he was in the Philippines, I tracked down Roy Golingan to ask him about his time in Kababayan, a UCI Filipinx-American organization. This past year, Roy was the Skit Director for PACN, or the Filipinx-American Culture Night. It’s an annual production which shows traditional dances and the diversity of island culture, but also offers a space for Filipinx students to tell some of their difficult stories. Roy reflects on the difficult process of choosing these stories. “I continued with these heavy political themes because I wanted to bring to light the sensitive subjects that Filipinx parents are usually reluctant to talk about to their children.” These difficult topics include the youth struggle with the current administration, and the parents’ repressed memories of the martial law era of their own youth. The show weaves multi-generational narratives of political turmoil, as well as reveals the commonality between both immigrant parents and first generation children. The well-supported Filipinx community at UCI creates opportunity for this kind of expression - one that is painful but cathartic, controversial but sincere. Months after the show, Roy tells me about how worthwhile the experience was. He says, “In the end, despite all of the struggles and the pressure of being a Skit Coordinator, it was the most rewarding experience I’ve done in Kababayan and my college career.” What I love most about this event is it allows students to be their most authentic selves. These courageous students told difficult stories to an audience full of family members, emboldened to share their narratives and personal experience of their culture. These are only three experiences of many. From artistic expression to academia, Asian-Americans have such a special presence at UCI. The question shouldn’t be “Why is UCI so Asian?” Rather, we should ask about the diversity within UCI’s Asianness. We should applaud those who find ways to find authenticity in their experiences. The world within Asian-Americanness is only one type of diversity. UCI’s student body includes members from all over the world, especially as 20% of our student population are out-of-state and international students. Beyond ethnicity, UCI students come a variety of socio-economic class; half of the past graduating class were the first in the family to graduate from university. It is a privilege to be a part of UCI’s colorful narrative. 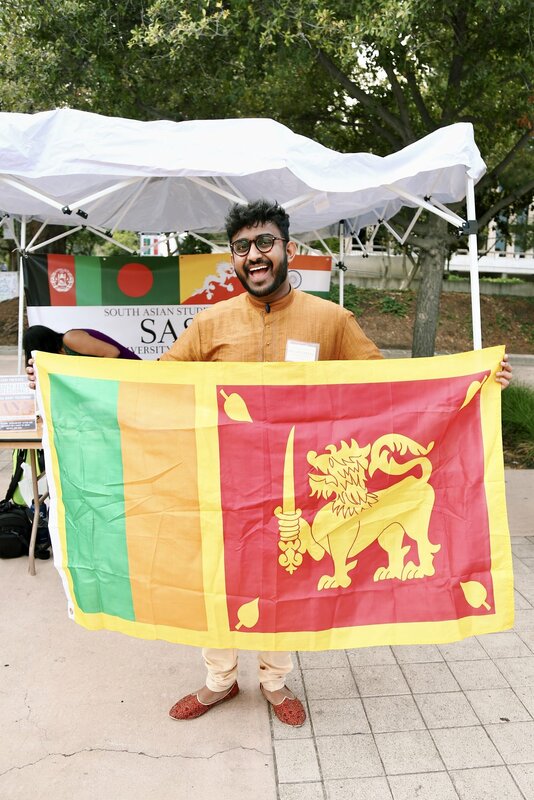 We should learn about these cultures -- either our own or others -- and use it as one of many ways to celebrate identity at UCI. Nov 24 Is UCI A Commuter Campus?